want to make the recovery process of your vehicle as easy as possible. We're Houston's Parking Enforcement Leader! Deciding on a towing service is a big step. To make sure it is a step in the right direction; choose the company best qualified to handle your towing needs. We will remove an unwanted vehicle from your privately owned space in a timely and efficient manner. 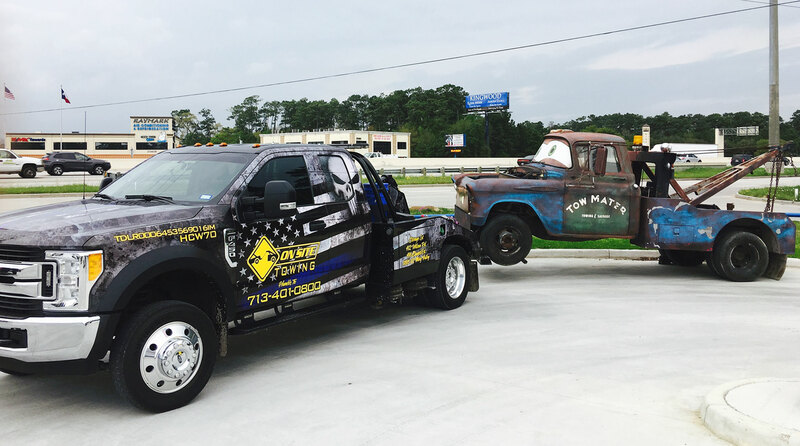 Whether your car breaks down, you run out of gas, or you’re locked out, On Site Towing is here to help. Including; Dealer Trades and Body Shop Towing. If you have a vehicle that you don't plan on using for a period of time, store it with us to ensure its security. 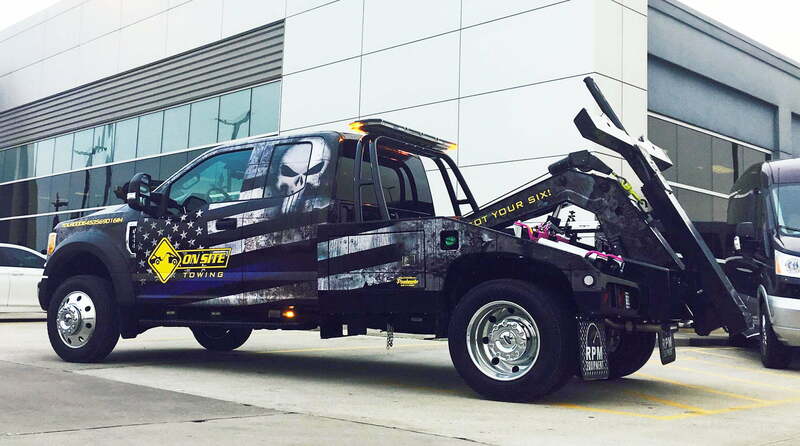 We're the "Towing Enforcement Leader", not because we tow a lot of cars but because we help solve parking issues. WHY CHOOSE ON SITE TOWING? We strive for the highest customer satisfaction at On Site Towing, on average 90% of our business comes from repeats and referrals. Deciding on a towing provider is a big step. To make sure it is a step in the right direction; choose the company best qualified to handle your towing needs. On Site Towing averages more experience, more advanced industry education, and leading technology compared to competing companies. Click below to access Towbook Management Software. On Site Towing owns new “state of the art” towing equipment. 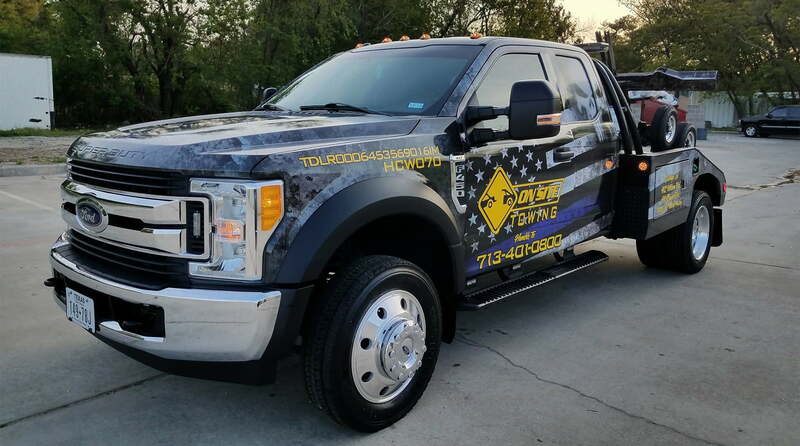 Our trucks are clean and well maintained so we can represent our customers to the fullest extent. We understand that we are the first image and impression of our customers. 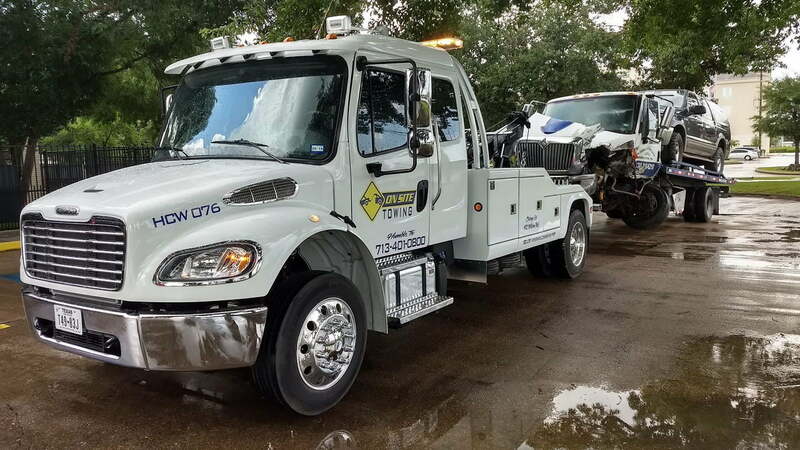 © 2019 On Site Towing | Houston, TX. All Rights Reserved. Text TOW to 797979 to request a tow and save 25%!